Jacqueline Schaefer, Medical Assistant, originally joined ASC in 2007 during her M.A. externship. She returned to us in 2011 after working in Family Practice/ Pediatrics for 4 years. 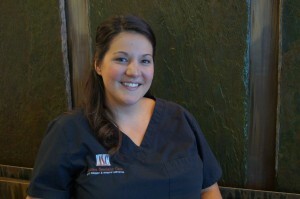 Jacque assists Dr. Aguirre with his exams and procedures. She also assists Dr. Aguirre and Brandy with our in office Cosmetic Gynecology and Liposuction procedures. Jacque is a native to Colorado where she attended Smoky Hill High School. She then went on to graduate from Concord College in 2007. She is a mother to one son. She enjoys spending time with her son, singing at her church and dancing.